The DrugRelief® percutaneous electrical nerve field stimulator (PNFS) is designed to administer auricular neurostimulation treatment over 120 hours. Stimulation is performed by sending electrical pulses emitted through needles strategically positioned in the ear. The ear provides numerous points for stimulation within a small area. 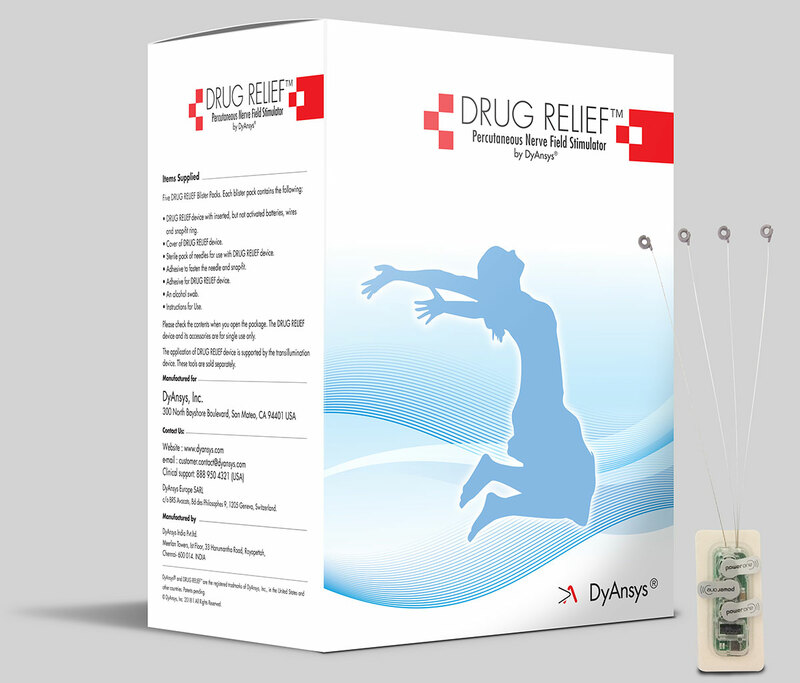 DrugRelief® neurostimulation therapy is used mainly to reduce the symptoms of drug withdrawal during detoxification. Drug Relief® therapy allows continuous neurostimulation over a period of 5 days while offering the patient a high degree of comfort and mobility. Use of the Drug Relief® therapy allows for a minimized use of opioid agonist treatment and in some cases may eliminate it. DrugRelief® devices come packaged 5 to a box. Regulated Current or Regulated voltage?